Join NAPAWF-SD on Saturday, May 28 from 6-8pm (location TBD) for our Annual Membership Drive & APAHM event! With over 9 million LGBT people in the United States, more than half identify as bisexual. However, the high poverty, discrimination, and poor physical and mental health outcomes within the bisexual population—often at rates higher than their lesbian and gay peers—point toward an urgent need to provide services and support for this segment of the community. “Understanding Issues Facing Bisexual Americans.” Report, 2014. As an interactive session for members and allies of the API LGBT Community, this workshop will involve a guided discussion around aspects of being non-monosexual within API spaces. Come prepared to see what our sexualities and identities look like on the Spectrum. an interactive session for members and allies of the Asian Pacific Islander (API) Lesbian, Gay, Bi, Transgender (LGBT) Community, this workshop will involve a guided discussion around aspects of being non-monosexual within API spaces. Come prepared to see what our sexualities and identities look like on the Spectrum. Please contact Samantha at samantha.m.howell@gmail.com for more information or visit the event page on Facebook to RSVP. Look forward to seeing you there! Last month, NAPAWF celebrated 20 years of advancing social justice and human rights for AAPI womyn and girls in the United States! Click here for info about the 20th Anniversary Gala and click here to see photos from the event. The NAPAWF San Diego Board sends our sincere gratitude to our members and allies. Your passion and dedication to empower the AAPI community on a local, national and global level is a constant inspiration to us. If you’re interested in becoming a member of the San Diego Chapter or want to get more involved, please email sandiegochapter@napawf.org for more information. 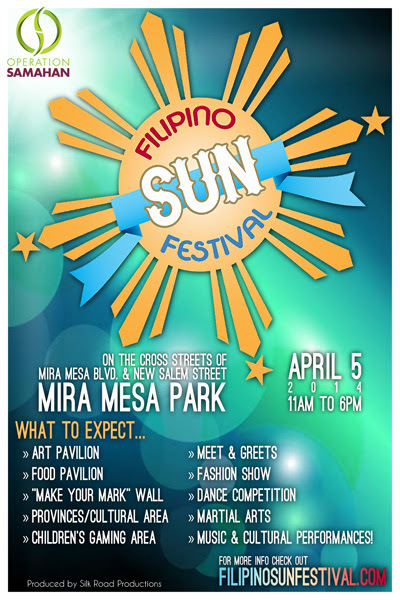 Hosted by San Diego’s Cambodian American community. There will be Pageant competition to select the New Year’s Angel, cooking demo, eating contest, traditional games and dances, classical and modern music, pony ride, spicy food, and more. Come and join for 2 days of family fun under the warm sun with fresh spring air. 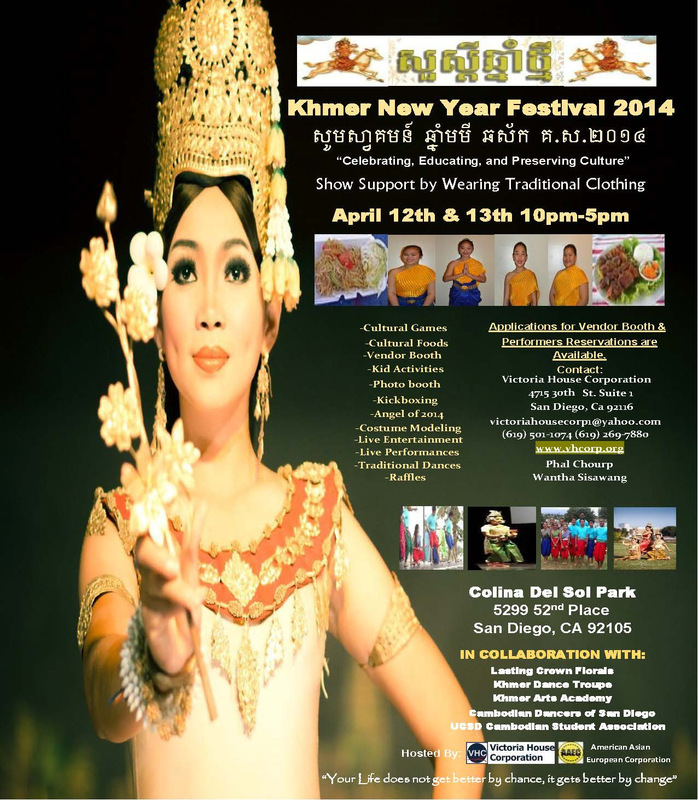 For more info, please contact khmernewyear@yahoo.com. (map 8575 New Salem St, San Diego, California 92126).